These are super easy to make! 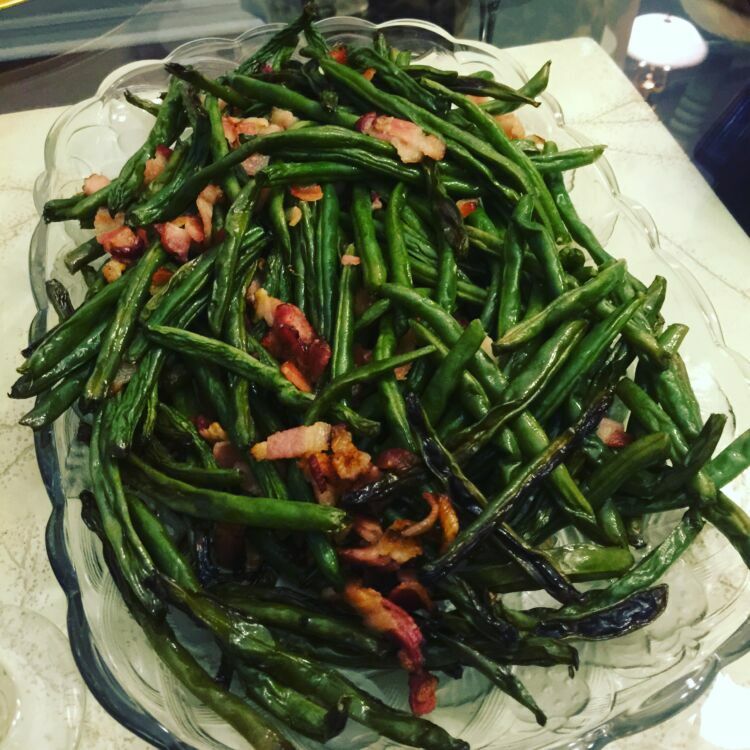 Trim green beans, rinse and lay flat on a sheet pan. Thinly slice raw bacon and sprinkle on top. Add salt and pepper and roast at 400 degrees for 20-30 minutes until bacon is crispy and beans are cooked.